The Fizz & Bubble Lip Scrubs offer exfoliating benefits, a touch of color and a sweet tingly taste. Serving as the perfect moisturizer for your lips this summer, each scrub harnesses the power of Vitamin E, Avocado Oil and Shea Butter to exfoliate and restore. This Mint infused Mentha Lip Balm stick soothes and shields lips with Shea Butter, leaving behind a smooth, matte finish. The Peppermint Oil gives off a cooling feeling, just what your lips need to stay protected during those 2whot summer days. 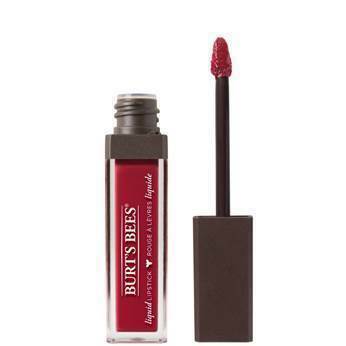 Burt’s Bees Liquid Lipsticks are available in 18 high impact and glossy shades. The nourishing formula blends mineral rich pigment,Shea Butter, Apricot and Babassu Oil leaving lips soft and smooth. Your lips will experience all day moisture without compromising full-coverage and lasting wear for up to 4 hours.